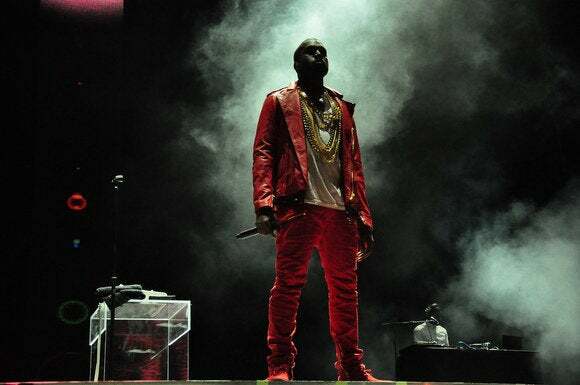 Attorneys for the American rapper Kanye West have filed a cease and desist letter against the makers of Coinye—a Bitcoin-like digital currency that generated Internet chatter last week. The currency, at the time of its announcement, did not have West’s sign-off, and was called “Coinye West.” Its logo featured a cartoon image of West’s head emblazoned on a gold coin, and was partly designed to bring a more consumer-friendly alternative to Bitcoin to a less technical audience. West’s trendsetting abilities and originality helped to inspire it, the founders said at the time. Now, attorneys for the law firm Pryor Cashman allege copyright infringement, among other claims. “Consumers are likely to mistakenly believe that Mr. West is the source of your services or is, at the very least, affiliated with, or has sponsored or endorsed the cryptocurrency,” partner Brad D. Rose wrote in a Jan. 6 cease and desist letter to the technology’s developers. In the letter, West’s legal team asks the developers of the technology to stop using West’s name, image or likeness in connection with any product or service, deactivate the Coinyewest.com website, and all social media accounts created or used in connection with the digital currency. Reached by phone, Rose declined to comment further. In a way, the team may already be complying with some of those demands. The name of the technology has since been changed to just “Coinye.” And the logo now also features a different image of a man with crooked teeth and a fish tail coming out the back of his head. The domain for the technology’s website has been changed to be registered in India. The name of the technology and graphic was changed to make it clear that West himself had nothing to do with the project, the developers said Tuesday via email. In their letter, attorneys asked for the Coinye team to comply with their demands by early evening on Monday. “If you fail to comply with these demands, we will notify the cryptocurrency community at large of your infringing actions and pursue all legal remedies against any business that accepts the purported Coinye West currency,” they said. The makers of Coinye, however, do not seem deterred. In fact, they are advancing their launch date from Jan. 11 to 10 p.m. Eastern time Tuesday, “due to legal pressure,” their website states. “We want to get this into the hands of the public—after that, it’s peer to peer and unstoppable,” they said in their email.